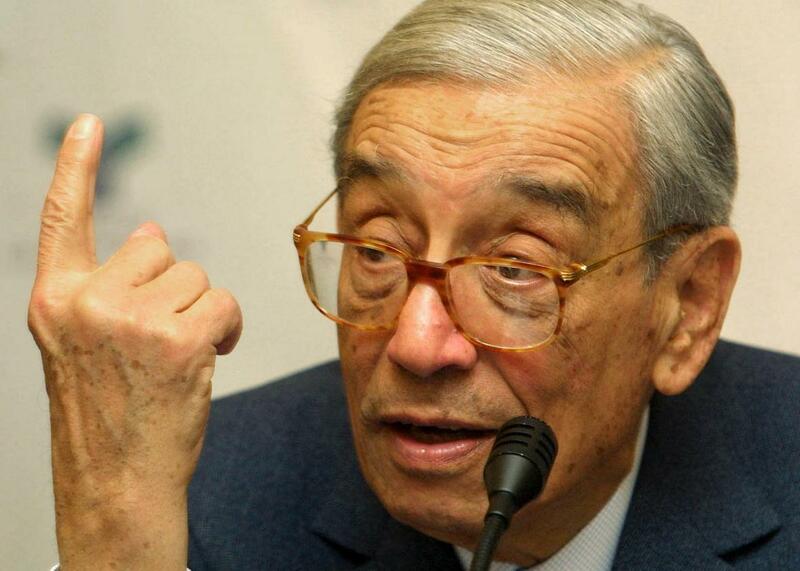 Former U.N. Secretary-General Boutros Boutros-Ghali dies at 93. Former U.N. Secretary-General Boutros Boutros-Ghali in Beirut in 2002. Boutros Boutros-Ghali, the Egyptian diplomat who led the United Nations during one of its most controversial periods and clashed repeatedly with Bill Clinton’s administration, has died at the age of 93. The Egyptian newspaper Ahram reports that he died on Tuesday at a hospital in Giza where he had been admitted several days ago with a broken leg. Coming from a politically prominent Coptic Christian family, Ghali served twice as Egypt’s foreign minister. He is credited as one of the architects of the 1978 Camp David Accords, which led to a peace treaty between Egypt and Israel, and helped build the international coalition against Saddam Hussein’s Iraq during the first Gulf War. He became the sixth secretary-general of the United Nations in 1992, the first Arab and the first African to hold the position. Boutros-Ghali sought to use his tenure to define the U.N.’s responsibilities in a post–Cold War world, but his time at the U.N. was marked by controversy over the body’s handling of a number of humanitarian crises. These included Rwanda, where the U.N. voted to withdraw peacekeepers ahead of a genocide that killed 800,000, despite abundant evidence of the bloodbath to come. Much of Boutros-Ghali’s tenure was also dominated by the violent breakup of Yugoslavia, including the infamous 1995 Srebrenica massacre in which Bosnian Serbs overran a U.N. safe zone and massacred thousands of Muslim men and boys. Boutros-Ghali took much of the blame for the U.N.’s failure to prevent these atrocities, though he—with some cause—blamed the U.N. member states, particularly the United States, for their reluctance to intervene or provide the U.N. with the resources it needed. After leaving the U.N., Boutrous-Ghali spent several years as secretary general of La Francophonie, a group of French-speaking nations, and served on former Egyptian leader Hosni Mubarak’s human rights council at a time when the government was under heavy international pressure to demonstrate that it was reforming. Boutros-Ghali’s tenure at the U.N. is likely to be remembered for its disappointments: When he started, there were high hopes for international cooperation following the end of the Cold War and the first Gulf War. But those hopes were dashed by the reality that most countries are reluctant to put their own narrow interests and domestic politics aside to intervene abroad, and that, in many cases, those interventions, even when they do happen, are hardly a panacea. With the U.N. now often seeming like a passive bystander in crises from Syria, to Ukraine, to the South China Sea, it’s clearly a lesson we’re still absorbing.